‍What is NICE and what are their DH Guidelines? What does a ‘good’ digital health solution look like? Is ‘good’ even enough when it comes to putting a digital solution in a patient’s hands? In the flurry of the end of 2018, some of you may have missed a notable milestone in the evolution of digital health in the UK, the release of the Evidence standards framework for digital health technologies . In December, The National Institute for Health and Care Excellence (NICE), an executive non-departmental public body of the Department of Health in the United Kingdom that publishes quality standards and guidelines on all aspects on healthcare in the country, released these guidelines for digital health solutions signalling both the increasing maturity of these solutions and the surmounting confusion of how to actually implement them in a functioning health system. about the standards of evidence they will be expected to produce for different types of digital technologies for streamlined identification and integration. To help NHS commissioners make more informed and consistent decisions by providing a framework for the levels of evidence they should expect to see presented to them in this somewhat unprecedented environment. by making it more dynamic, demand and value driven, with a focus on offering real value to patients. 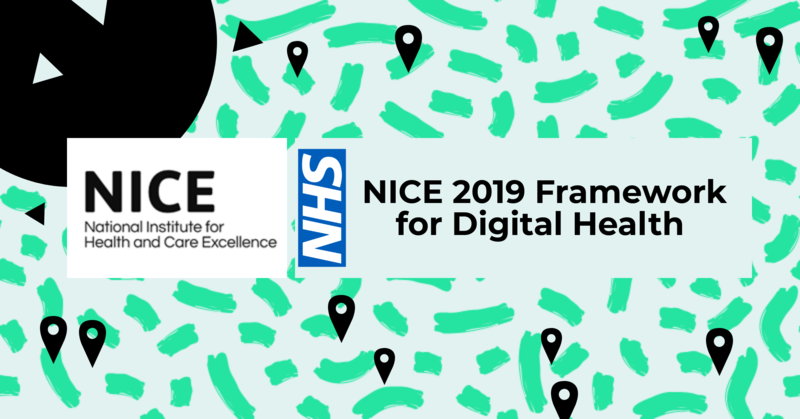 The NICE framework focuses on the above areas within the frame of evidence for economic impact standards and clinical evidence based on the intended use of ranging from Digital Health Technologies (DHTs) with potential system benefits but no direct user benefits, to those used for direct treatment and diagnosis, as well as those influencing clinical management. In the following we’ll take a further look at what value these guidelines offer, their limitations, and what this may mean for the space going forward. Why does the NHS need this? Some innovators in digital health seem to have a ‘move fast and break things’ approach. How do we balance this with an evidence hungry clinical environment? Like many things, it comes down to communicating in a shared vocabulary. The NICE guidelines are a welcome shared currency, facilitating interactions between previously disparate stakeholders. 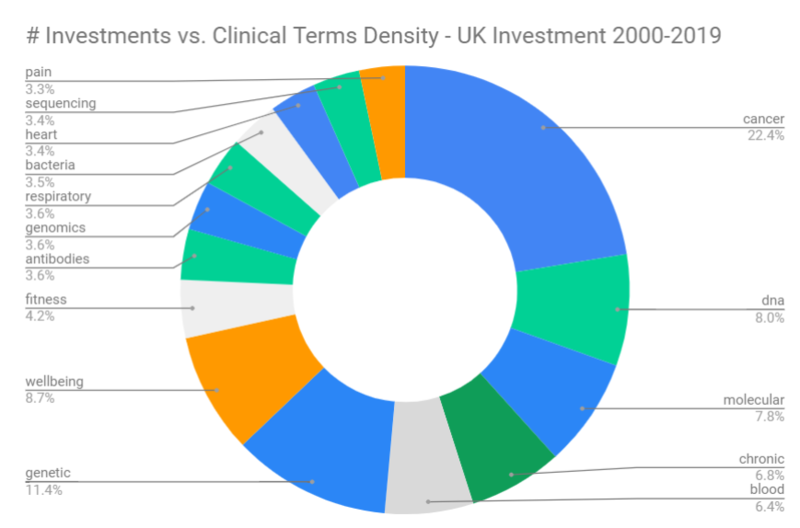 According to the HealthXL data platform, between 2000-2018 there have been approximately 2174 healthcare investments in the UK spanning more than $16M. In accordance with mortality and morbidity trends, and growing confidence and capacity of new technologies and methodologies there appears to have been a significant investment focus on cancer interventions, genetic and genomic efforts paving the way for more personalised care, in addition to investment in chronic conditions such as cardiac health and respiratory conditions. What is apparent from this investment insight and the demographic data of the NHS is that digital is being very seriously considered and engaged with in terms of preventative, primary, secondary and tertiary care. Within each of these therapeutic areas or use cases there will be a plethora of different DHTs on offer making these guidelines and future iterations absolutely necessary in order to tame the beast. What Value do the NICE Guidelines Add? The clinical grades attributed by the NICE guidelines ranges between a scale of 1 to 3b, the latter being the highest category of risk and therefore pinned to the expectation of the highest standard of clinical evidence, an RCT, in addition to meeting preceding expectation of clinical validation expected of the lower risk solutions. Lower categories focus on apps that provide information and advice on healthy lifestyles or collect information for personal health diaries. Higher categories can include technologies that perform clinical calculations or use data to diagnose a condition to inform decisions made by healthcare professionals. This provides a benchmark for what is the minimally viable point that a DHT could even be considered for NHS support. In terms of economic impact standards, the NICE framework is slightly less elaborated upon in comparison to the attention attributed to clinical evidence. Having said this, there is value to be found in linking the clinical efficacy and economic impact side-by-side as a strong reminder of the need to start with a real measurable problem and to bare in mind that any solution used by an NHS population will have to somehow be paid for. Similar to the risk stratification model used for the clinical evidence requirements, the NICE framework maps out a template for evaluating evidence of economic impact from a payer perspective. This, in addition to some of the other economic elements, gives new and pre-existing NHS DHT companies the chance to see the key elements of their grading scheme when it comes to likelihood of being reimbursed or supported by NHS bodies. One key contribution for startups here is the detailed guidance Budget Impact Template provided by the collaborative in order to help innovators using the economic impact standards. This carries innovators through a relatively rigorous pathway, evaluating everything from unit costs to sensitivity analysis. Not designed for use with digital health technologies that incorporate artificial intelligence using adaptive algorithms, which continually and automatically change. Digital Placebo concerns, particularly in the high risk categories 3a and 3b. Tier 3a allows for control group to have no intervention, requiring ‘A high quality quasi-experimental or experimental study would compare the effect of the DHT on a group of users with 1 or more groups having a different (or no) treatment.’ . In terms of Tier 3b there is a comparative requirement for a control group, however this is far from a clear-cut avenue as the global digital health community realizes the difficulty in determining what actually constitutes an appropriate DHT control intervention. Here there is a potential need for future iterations of the guidelines to more rigorously provide guidance on how to determine an appropriate control for different types of solutions. This gives way to a much bigger question - is our ‘gold standard’ RCT in its current form a fit for evaluating DHTs? Unclear whether these guidelines will lead to a more dedicated body acting as an evaluatory gatekeeper for DHTs in the NHS in the near future. Unclear on where this leaves digital health solutions that have already engaged with the NHS. “It is a significant step forward for the NHS market to now have the first Evidence standards framework for digital health solutions. Digital health has seen rapid growth over the past five years and inevitably there is a significant degree of variation both in terms of applications (wellness to clinical) as well as quality (few digital solutions have robust evaluations). Creating clear standards is therefore important both for entrepreneurs to create a level playing field but also for patients and healthcare professionals to separate the wheat from chaff. The standards are a first attempt and will inevitably continue to develop over time. Alongside the FDA framework, they may also shape global standards. The collaborative group, highlighted below, leading the change for the NICE guidelines are cognisant of this ever shifting environment and have already shared that a second iteration of the guidelines will be released in February 2019 following the initial feedback from various stakeholders in the NHS system and innovator community. While there are many unknowns in global development and implementation of digital health solutions, the NICE guidelines champion the core elements that must remain a constant benchmark for success - the need for validation of clinical efficacy and cost effectiveness.